After using this power once, you cannot use it again for 10 turns. This power increases your team's attack power by 1.2x for 3 turns. 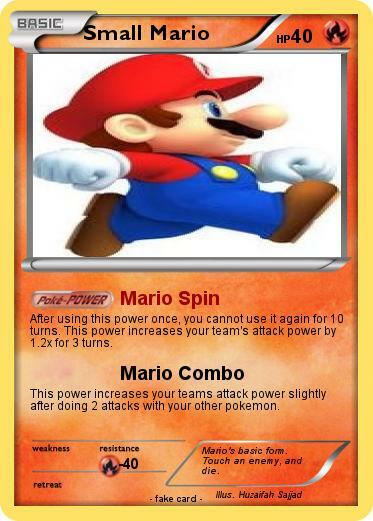 This power increases your teams attack power slightly after doing 2 attacks with your other pokemon. Comments : Mario's basic form. Touch an enemy, and die.